All industries, particularly those that are high risk, such as the agricultural, mining and manufacturing sectors, place a high level of importance on safety in the workplace. From developing a strict set of guidelines for machinery use through to break allocations and work wear regulations, there are various things to consider when it comes to safety in the workplace. Unsurprisingly, it can be difficult for employers to determine where it is they should invest their time and money. In the big scheme of things many see that work wear plays only a small role in workplace safety, however Health & Safety International Magazine argues that it is more important than most employers may think. There is an all too common belief floating around whereby employers think it is okay if their company adheres to even the most basic of workplace safety requirements that govern the provision of safety work wear. In many instances this is not the case, and employers may need to go above and beyond these requirements to provide employees with a little more. This feeling of safety is incredibly subjective, as while one employee may feel safe in basic work wear, another may not. At the end of the day the safety work wear employers choose to provide their employees with has the potential to impact on workplace productivity and company profit. Guy Cotton work wear from Felco Distribution can help businesses bridge this gap, as the company manufactures a wide range of general and specific work wear products. The safety conscious work wear is made from high quality materials that are both breathable and lightweight for ease of movement and maximum comfort. 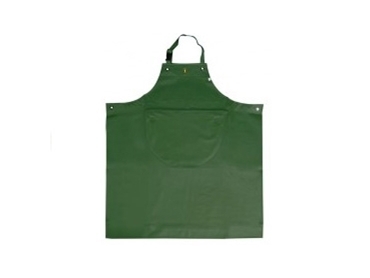 Furthermore, many items in the range are waterproof, which makes them ideal for various outdoor farming applications.